2019. A new year often brings new hopes and intentions. A clean slate. A chance for a fresh start. Time to do the things we intended to do last year but were just too busy to make them happen. Doesn’t the thought of new opportunities and a better year give you energy? It certainly does for most of us! “Fail to plan, plan to fail.” The first step you must take if 2019 is going to be a better year for you than 2018 is to take the time to put together a plan. This plan will be the roadmap to your success in the year ahead. “Oh, I’m too busy and it’s too much trouble to actually take the time to sit down and map out a 2019 plan for myself.” If this is your excuse, then you need to consider the following (with thanks to Lewis Carroll and Alice in Wonderland). “Would you tell me, please, which way I ought to go from here?" said Alice. “That depends a good deal on where you want to get to,” said the Cheshire Cat. “I don’t much care where,” said Alice. “Then it doesn’t matter which way you go,” said the Cat. For 2019 to be your year, you must have a plan. How important to yourself are you? Hopefully very important! If so, look at the time needed to put together your 2019 plan for success as an investment in yourself. Here are some suggestions to help you get started with your 2019 plan for success. Sit down, with no distractions, and make three lists. The first list is all the important decisions you made in 2018 that were good ones. The second list is all 2018 decisions that turned out to be bad. Now write down what you should have done that would have made each a good decision. Why is this important? If you learn from your past mistakes, then you are less likely to make the same bad decisions in the future. The third list is both your personal and professional goals for 2019. Whether the list is short or long is not important, so long as it includes the things that would give you the most personal and professional satisfaction if achieved. Now take the third list and list each goal at the top of a separate page. Under each goal, write down a list of numbered action items, in order of necessary completion, that you (or someone else) must do to accomplish that goal. Now next to each numbered action item, write a date “to be completed by or before”. Look over your list of 2019 goals and put each goal in order of importance to you. Now review the action items beneath each goal with the “to be completed by or before” dates and realize that some of those action items may not be completed by the date you’ve listed. What’s next is very important and what often separates those who fail from those who succeed. Those who succeed will immediately revise the action item dates for that goal with a realistic timeline and begin working toward that goal again. Don’t give up because you miss an action item timeline. Adjust the timeline schedule and attack it with renewed energy! As you work through each goal and its corresponding timeline, be flexible. Know that life happens and, on each goal, you will face detours and roadblocks. Don’t be surprised, expect them. The important thing is that with each detour and roadblock, you find a way to go around or over it. Be prepared to change direction if necessary, and take a different path to ultimately achieve that goal. If you make a bad decision, be prepared with a “Plan B”, and don’t give up! As you achieve your goals, one by one, celebrate your victories! Let each victory and celebration give you even more energy and determination as you continue to work to achieve your remaining 2019 plan for success goals. Finally, as part of your 2019 plan for success, make sure that part of your plan includes “me time”. That time invested in yourself should include planning a proper diet and getting enough sleep and exercise. Overlooking any one of these three things will rob you of the health and energy necessary to achieve your goals. 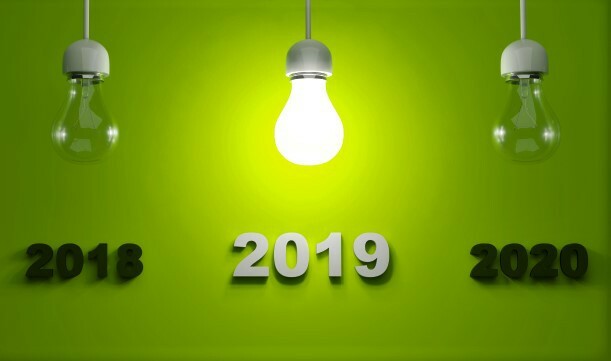 Can 2019 be your year? With the proper planning, focus, and determination to stick to your plan, yes it can! Live, love, laugh, and good luck!